Havent had one of these for ages and this is the second within two weeks. 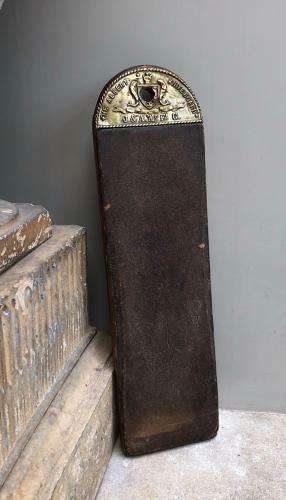 Very good condition Late Victorain Knife Strop. Brass top "THE ALBERT KNIFE BOARD"